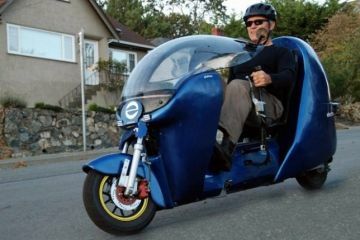 Electric scooter OjO is the ultimate urban lifestyle e-scooter. 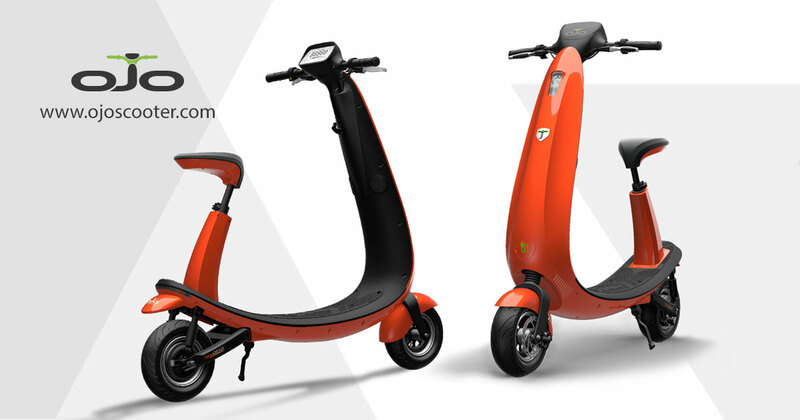 All the features and functions of the highway-worthy two-wheelers, packed in a compact, bike lane friendly scooter design.The OjO Commuter Scooter was developed in Santa Monica, California. Built for the bike lane, the OjO offers a unique combination of style and performance for a fun, safe and clean transportation solution. Every inch of the OjO has been meticulously designed with long-lasting quality and stability in mind. 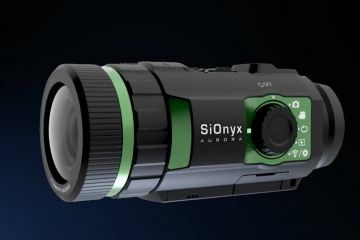 The OjO comes with several patented features including a highly-innovative onboard charger that utilizes a retractable cord and plug for easy charging wherever there’s a 110v outlet. 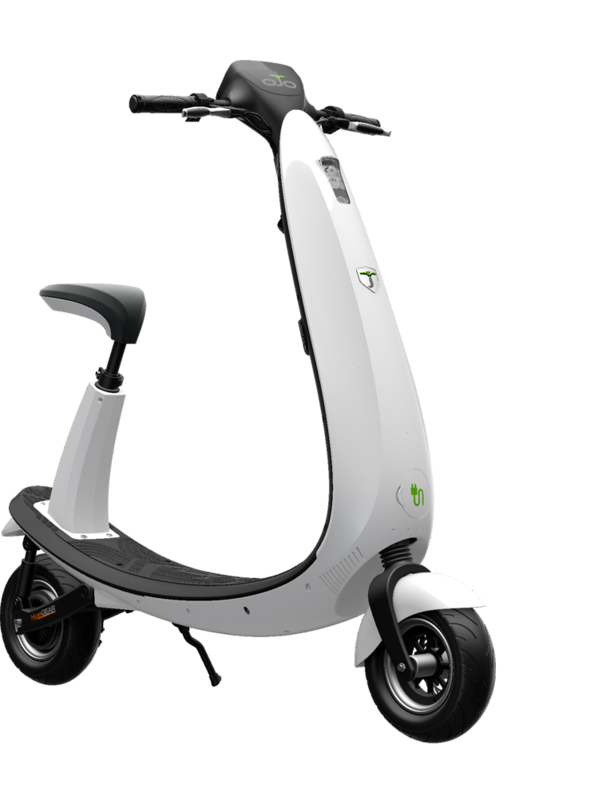 The patented and powerful HyperGear hub motor propels this smart scooter to bike lane-legal top speeds of 20MPH. In addition, OjO has a best in breed 48-volt lithium ion battery that allows it to go 25 miles on a full charge.